Although are goal is to avoid animals reproducing unncessarily and also trying to have the perfect client/animal match, sometimes we do have animals who need new homes. 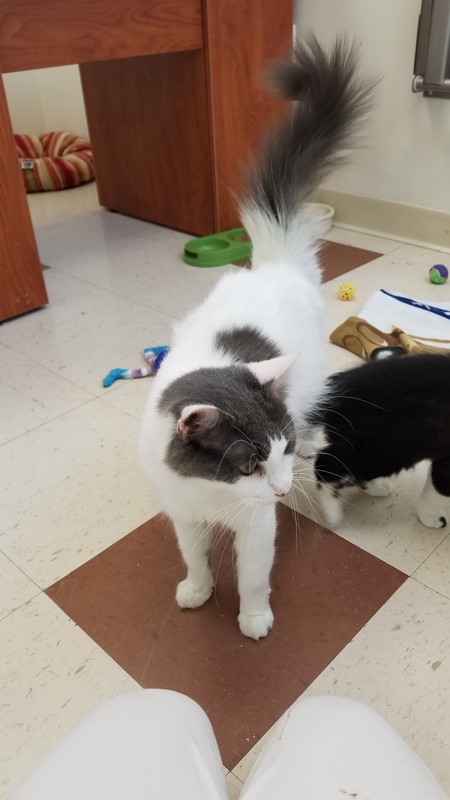 Dr, Saunders and the staff at both Spring Valley Animal Hospital and the Cat Care Clinic of the Nyacks tries to help out these animals in need of a loving home. We try to keep our pictures updated, but even if we've adopted that one out, I'm sure we have another friend to call your own. Petunia was trying to keep her 5 kittens safe by staying on someone's porch in the middle of Spring Valley. One of our stray organizations was able to get her and her kittens and bring them to us so she could nurse and take care of them in a safe environment. We have found homes for 3 of her kittens but the final two are looking along with Petunia. She loves them and still lets them nurse on her. 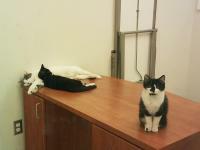 We are hoping for the three of them to be adopted together!